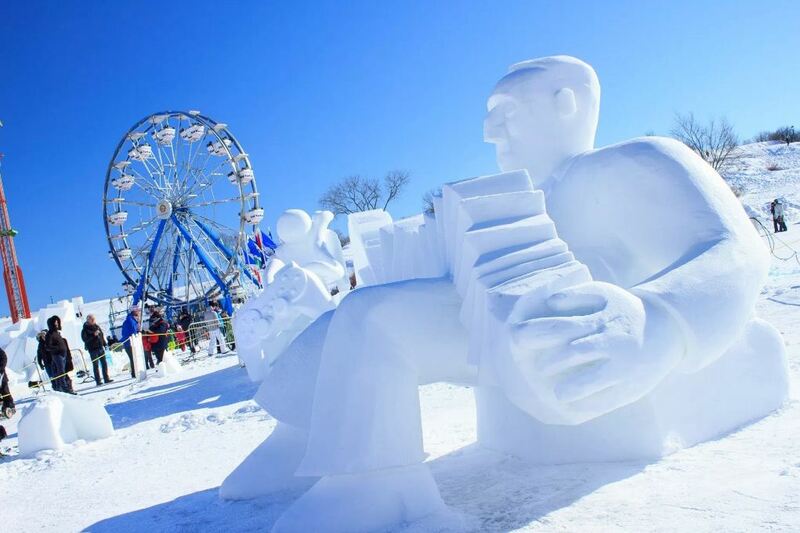 Quebec travel blog — Fascinating in Quebec Winter Carnival - Living + Nomads – Travel tips, Guides, News & Information! 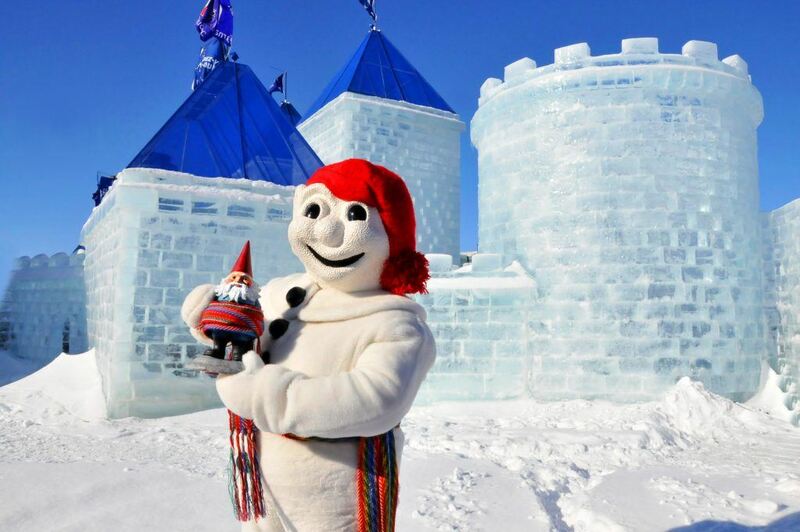 For the past 50 years, during the coldest month of the winter in Canada, the city of Quebec is host to the goodwill messenger of winter — Quebec Bonhomme Carnaval (Quebec Winter Carnival). 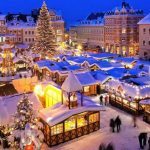 Each year, as Santa Claus arrives at Christmas, the Snowman returns to this landscape and marks the start of the biggest winter festival in the world. 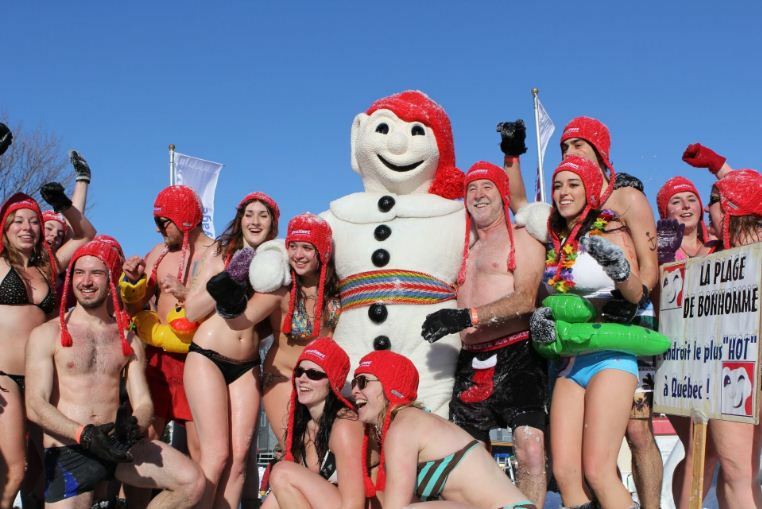 The prolonged, ice cold weather found in Quebec may be a source of misery to other cities, but the people of Quebec have good reason to be excited about the frosty conditions. 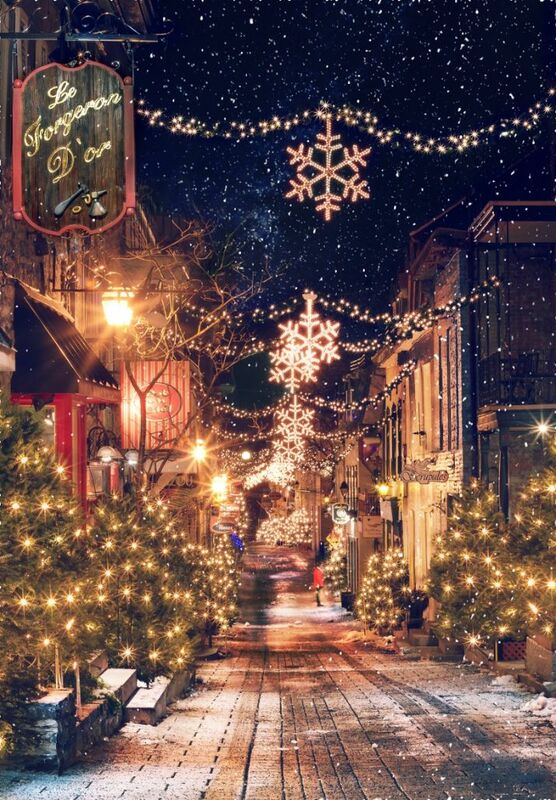 In order to adapt, they have created their own special culture, where festive ambiance always makes people feel warm. 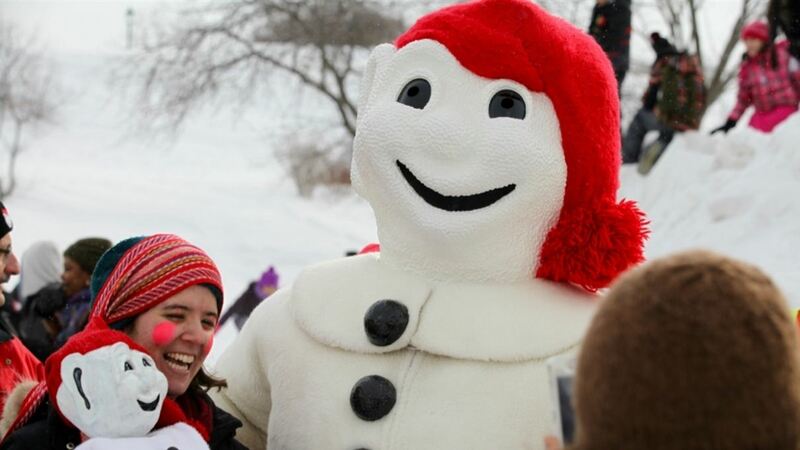 The Bonhomme Carnival is normally organized between the end of January and the beginning of February and lasts for 17 days. 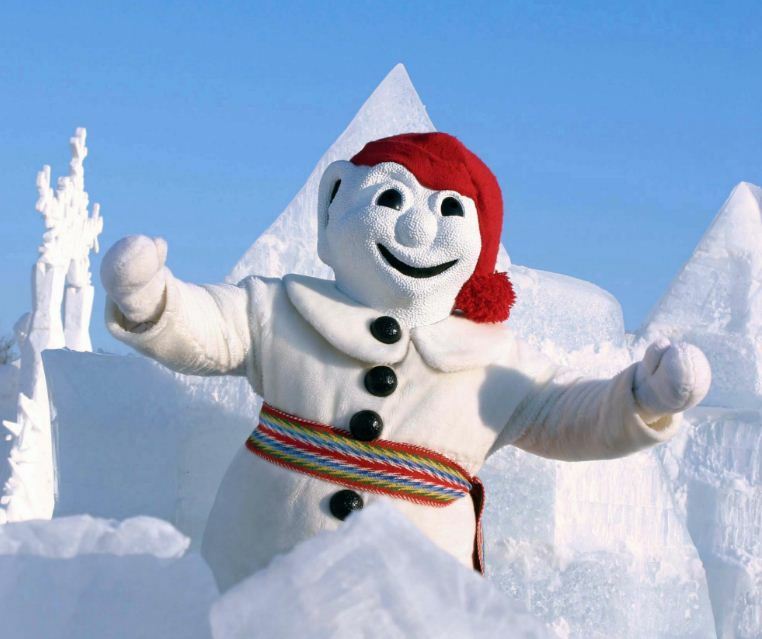 During the festival, Bonhomme Snowmen appear everywhere as a symbol of the goodwill of winter. 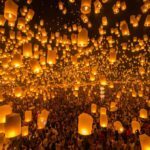 The festival includes an array of interesting activities that all members of the family can join. 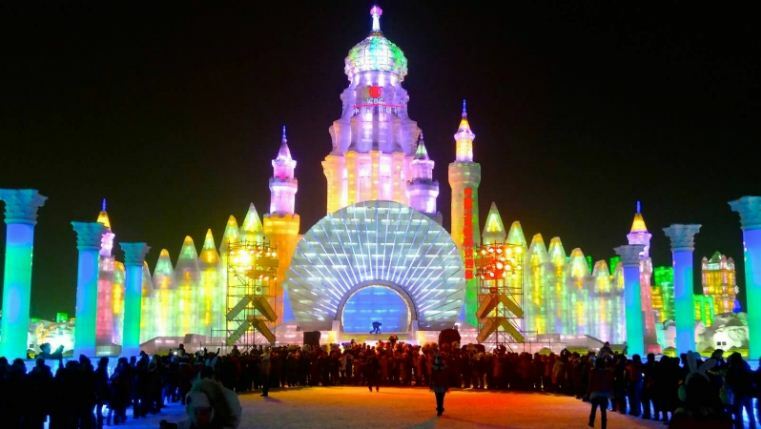 At the entrance of the festival, behind snowy pine trees, stands a miraculous palace which is made of ice and decorated by professional ice sculptors. You will not find this anywhere else. 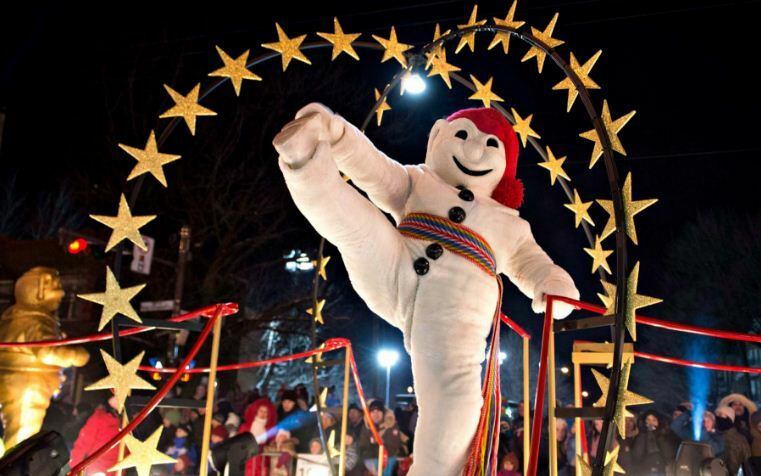 Bonhomme is the 7-feet tall snowman who is the mascot, official spokesperson, and star of the Quebec Winter Carnaval. 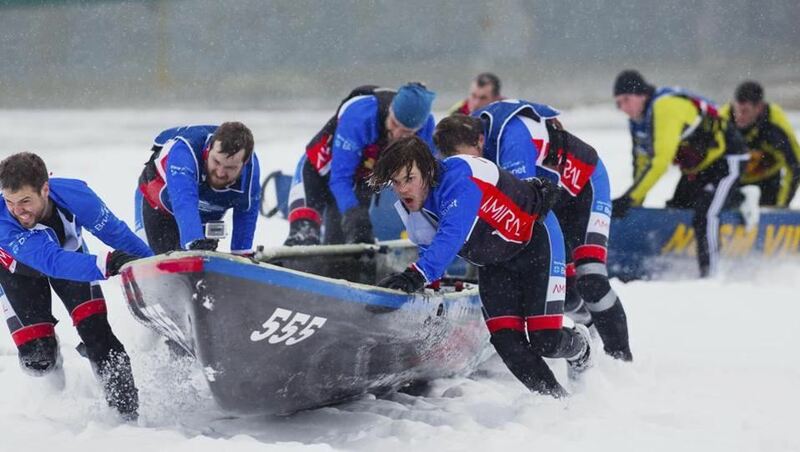 Boat racing in Quebec Winter CarnivalThe festival is held on Abraham lowland. 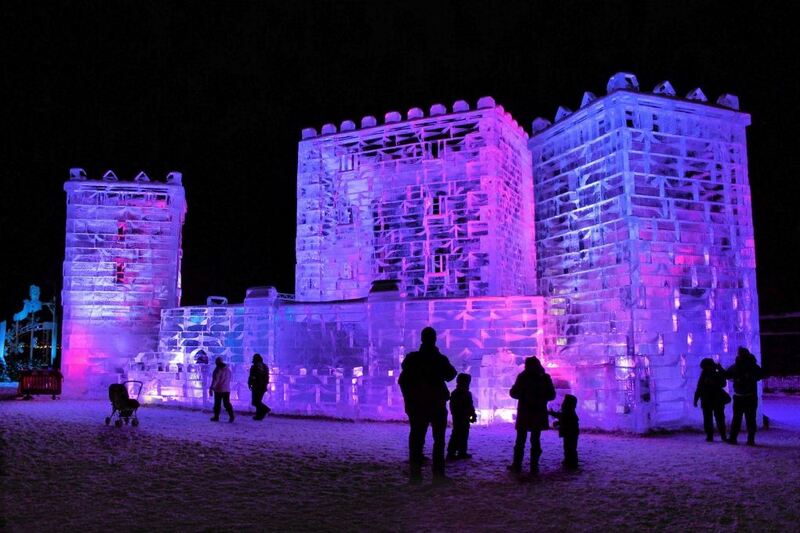 It hosts more than 300 outdoor activities, in which, the most exciting is the International Ice Sculpture Competition. Every year, more than 50 teams from 30 nations around the world will enter, but only 20 teams are chosen to compete. 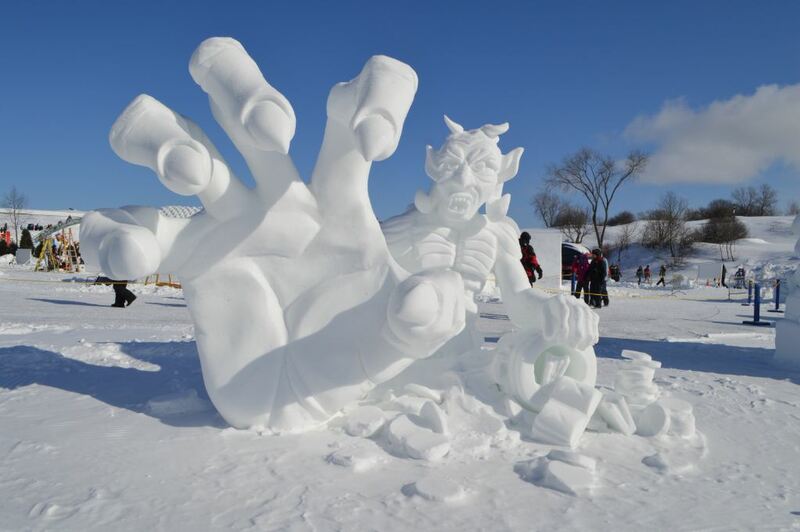 Regional sculptors show their creativity and skills on sophisticated ice art. 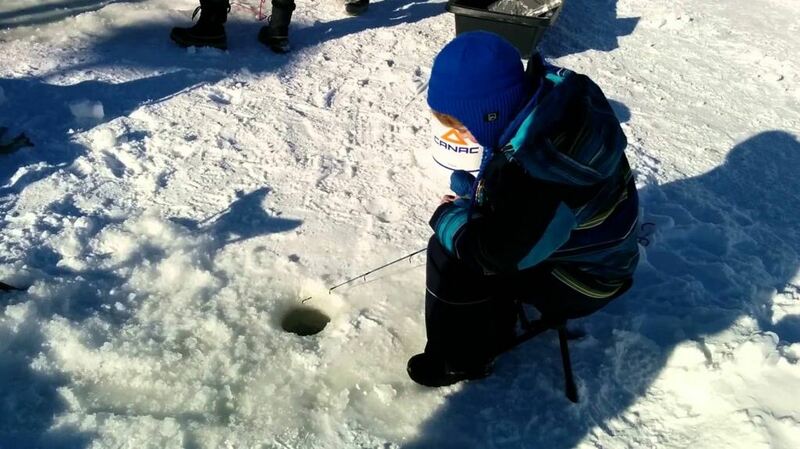 After touring around and seeing ice sculptures, you can try catching codfish from under ice blocks. 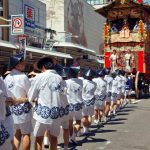 During the 17 days of the festival, about 10,000 fish are captured. 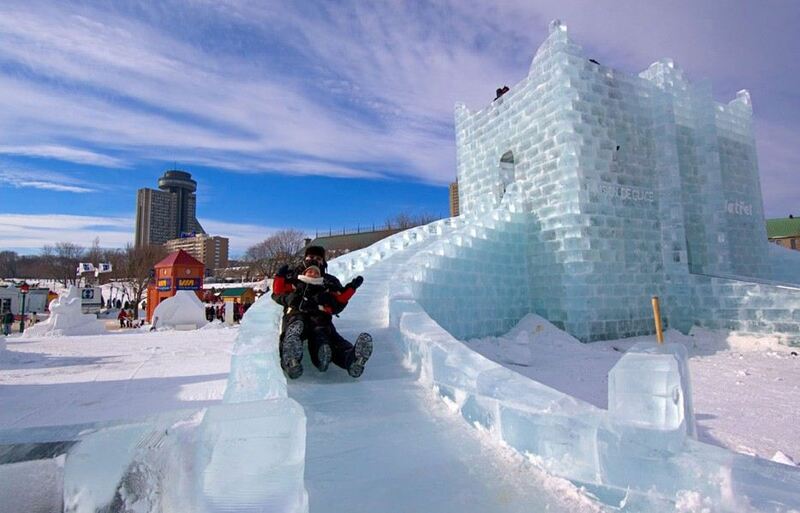 You can also ride a horse-sled or dog-sled, design ice sculptures or join in many other exciting programs. 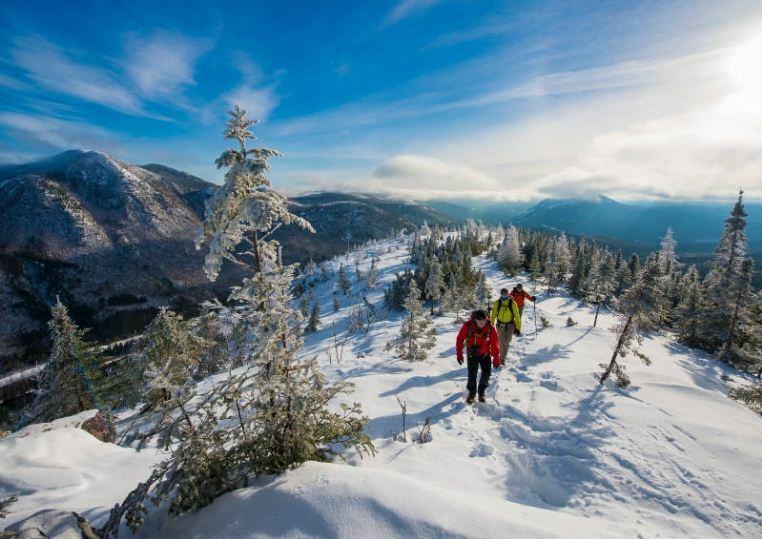 The festival is a great chance to explore and enjoy what winter in Quebec has to offer. 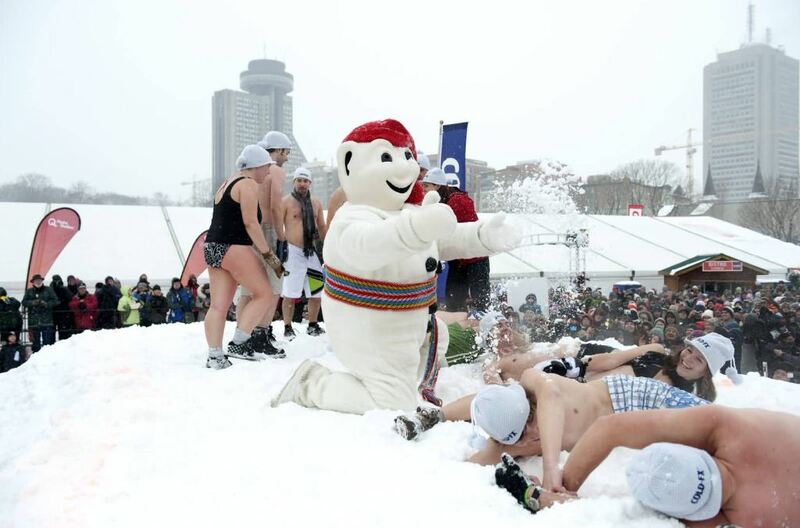 Snow-bathing is one of the highlights of the festival. 75 lucky participants are chosen and separated into teams. They then take a snow-bath on three separate occasions, with only undergarments and towels. 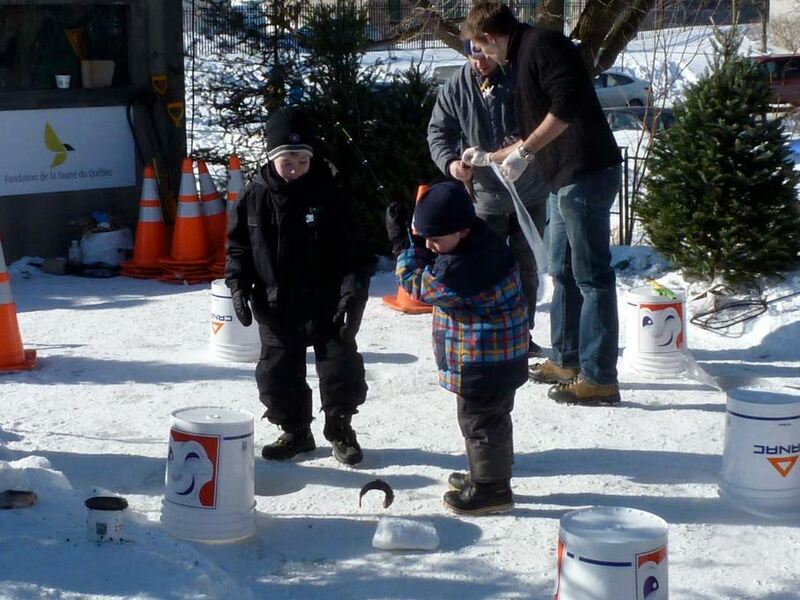 This activity symbolizes the festival’s longevity and the ability of the local people in Quebec to withstand the harsh winter conditions. 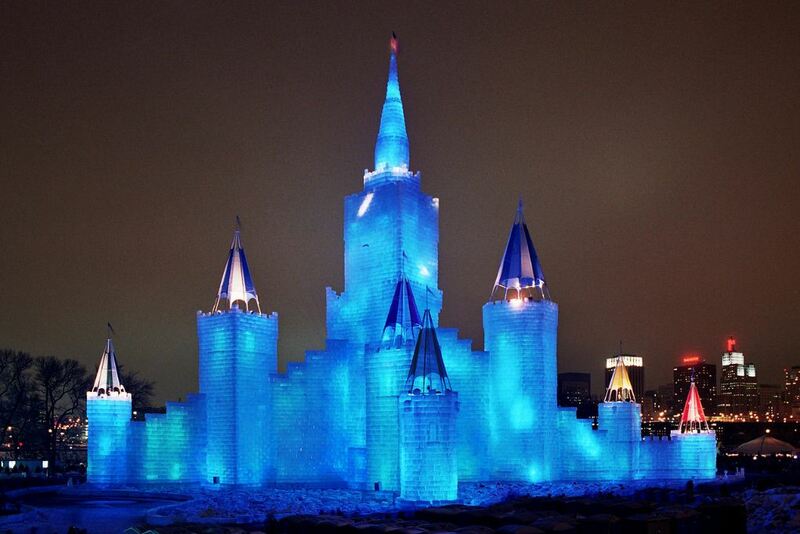 When the ice palace lights up in the evening, the festival activities continue. 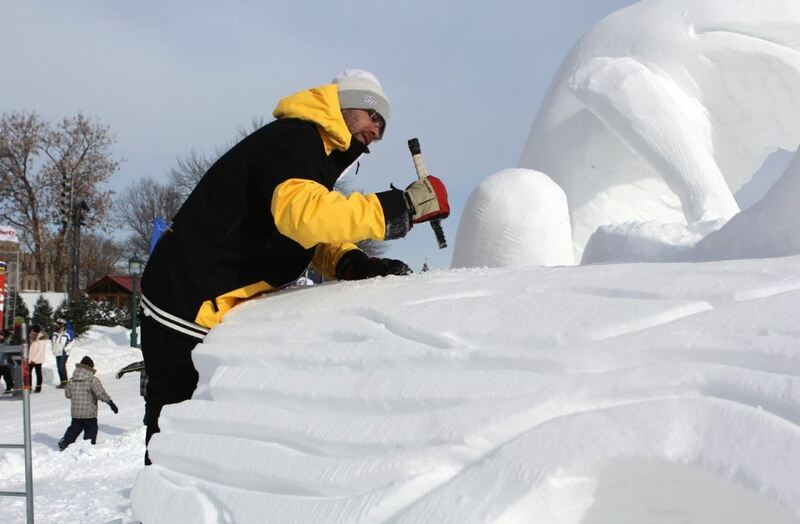 As the snow falls thicker and thicker, ice sculptors quickly prepare for the exhibition on the following day. 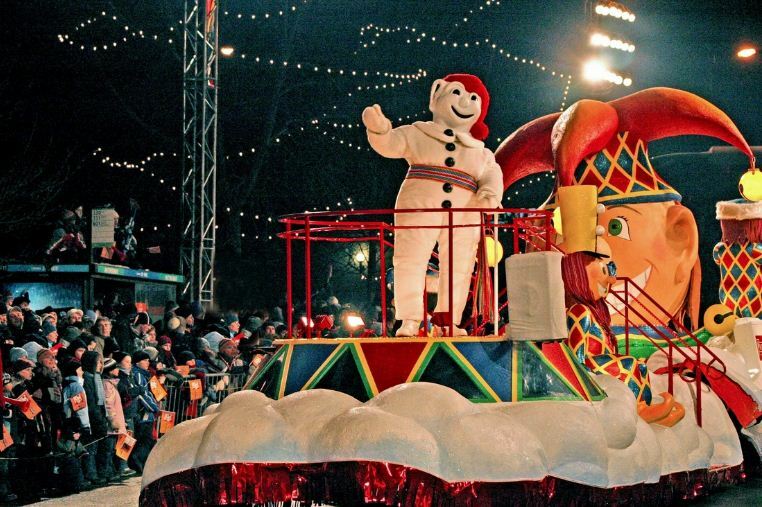 In another zone of the city, Bonhomme Snowman attends a traditional parade. 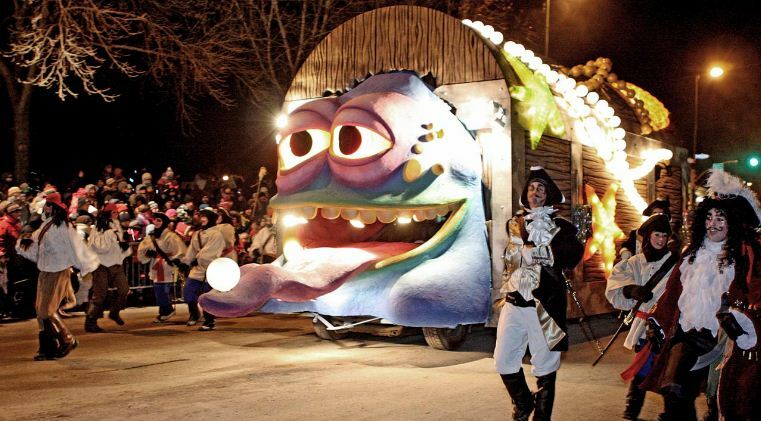 During the festival, there are two parades in the evening, more than 20 colorful parade cars, some music bands and hundreds of audiences. 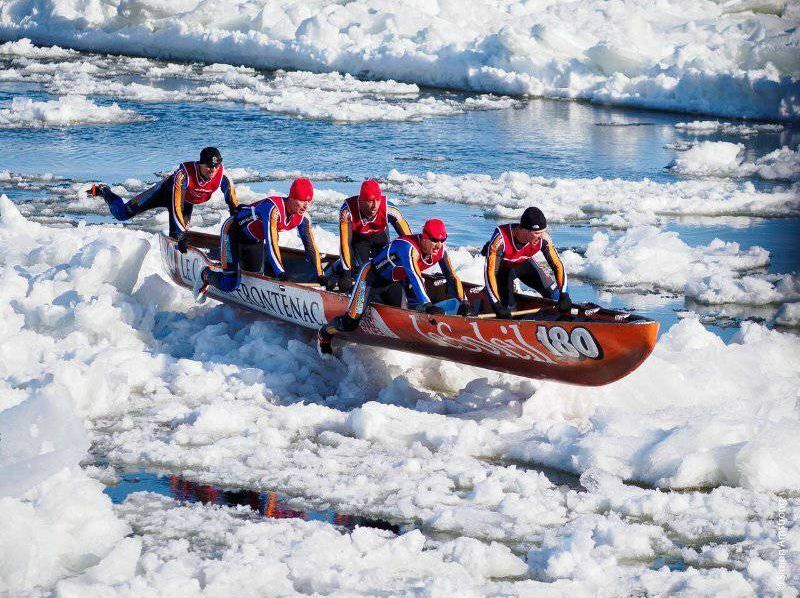 In the morning on Saint Lawrence, the main river of Quebec, the temperature is around 300C, which is the perfect condition for boat racing. 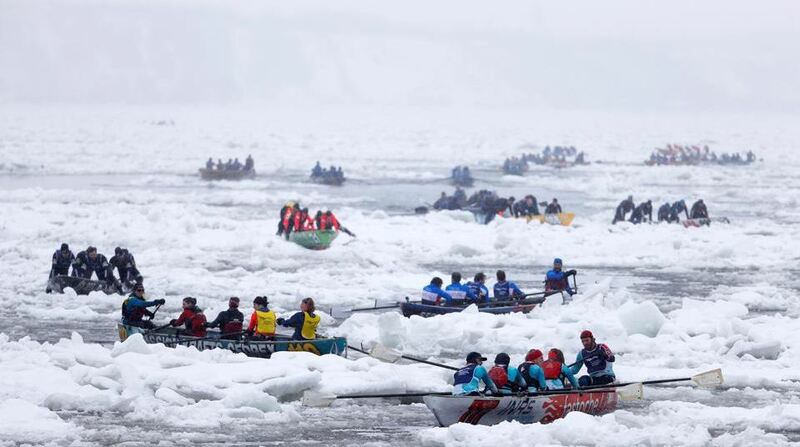 When audiences gather on the riverbank of Quebec, over 30 teams are about to start the race. 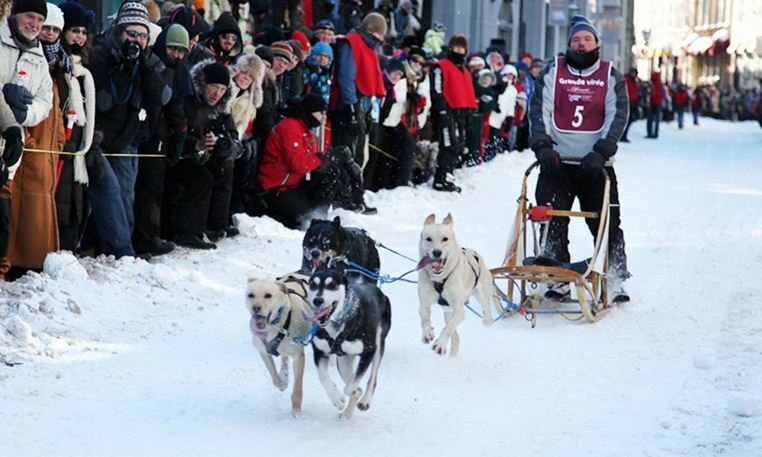 This is an annual race, which dates back to the first festival. 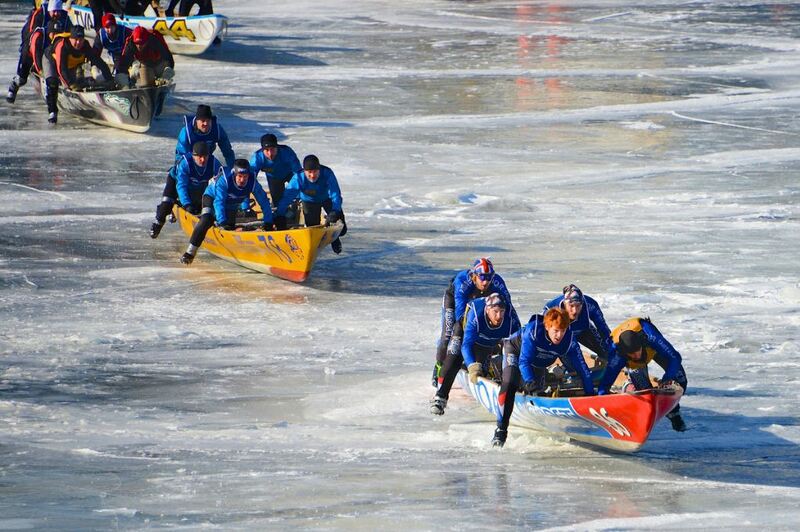 Boat racing is a collective and competitive activity. 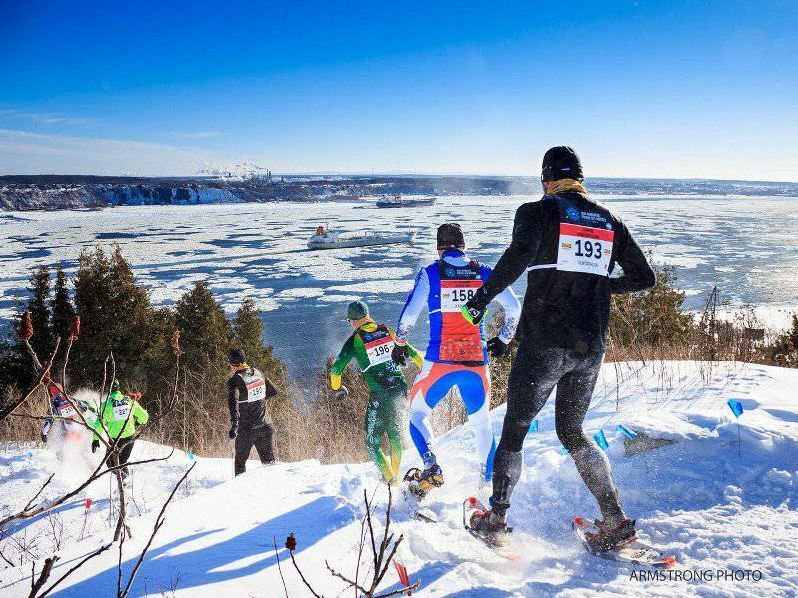 Participants often prepare for the race all year round and the victors are regarded with great honor and pride. 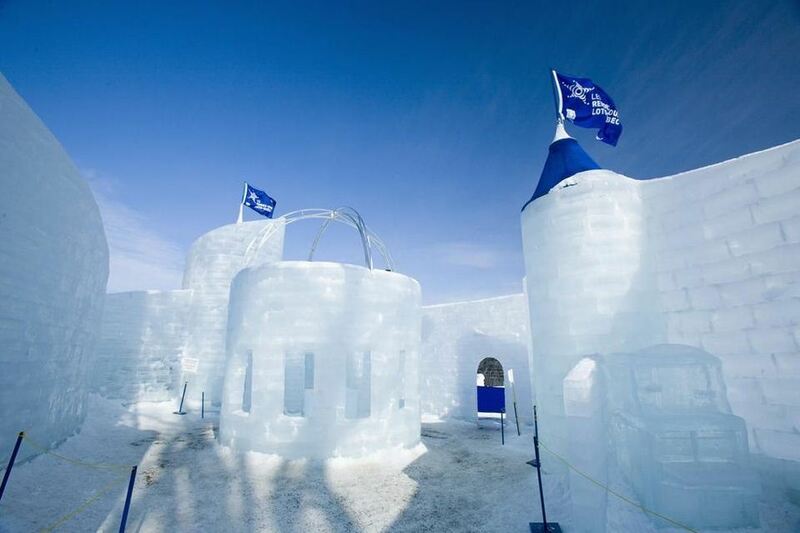 About 45 minutes by car to the East of Quebec stands Quebec Ice Hotel. 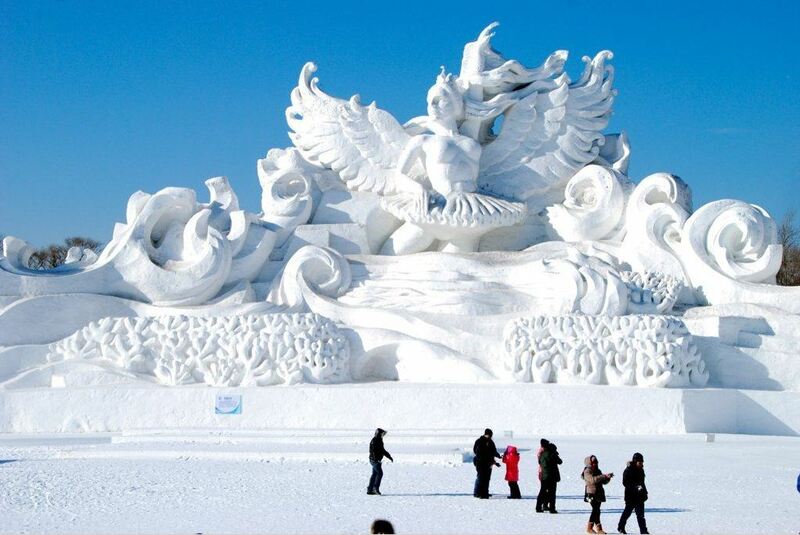 They used 12,000 tons of snow and 500 tons of ice to create this structure. 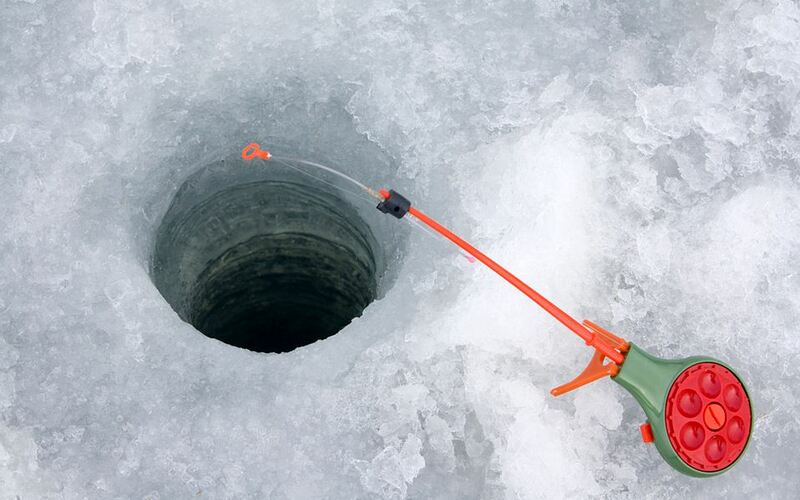 Local artistic structures are copied and set under the ice, to add color and life to the Ice Hotel. The hotel’s church is a favorite place of many couples to get married. The church is embellished with images of angels and other decorations that make it distinctive and interesting. 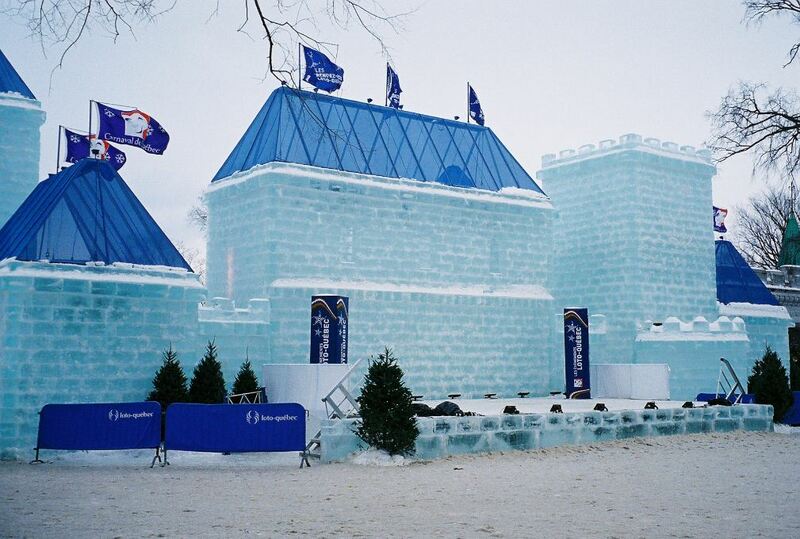 Drop by the icy bar, built by frozen bottles of vodka, to enjoy a glass of ice-cold vodka. 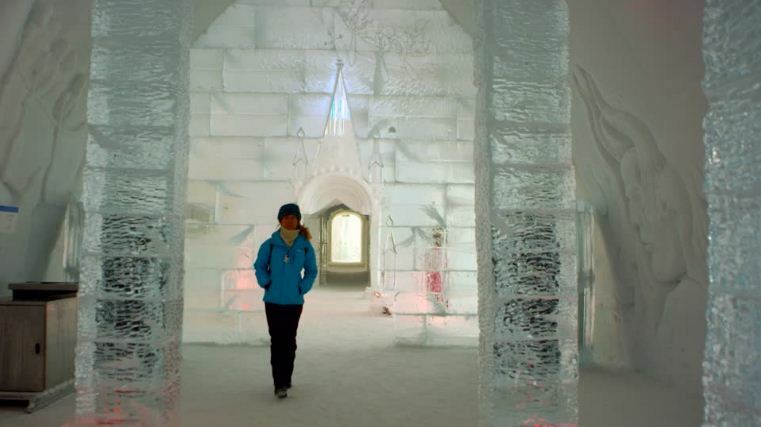 Ice hotel features 32 well-appointed rooms and can host 84 guests each night. 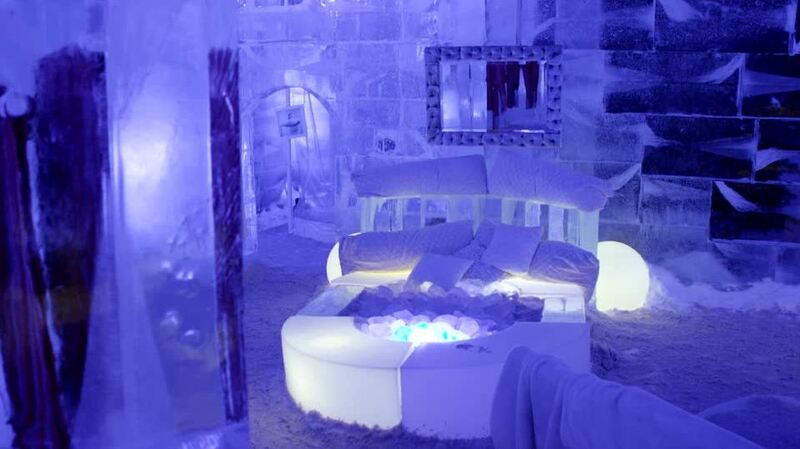 Although it is an icy hotel, it is much warmer than what you may think. Rooms are equipped with lamp-leather sleeping bags for your comfort. 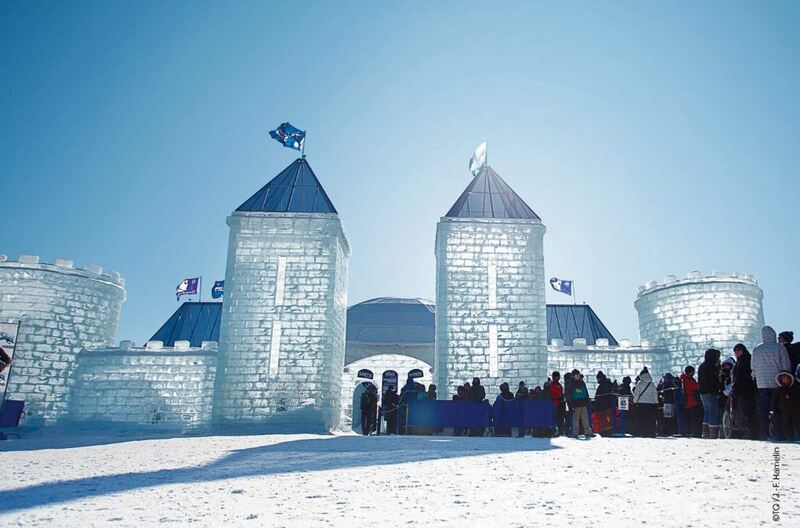 The Ice hotel goes to every effort to ensure that guests have an enjoyable and memorable time. 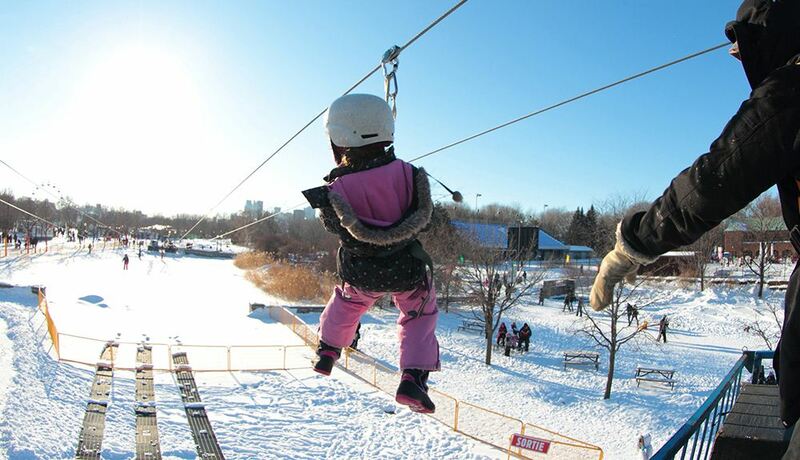 Come to Parc de la Chute – Montmorency, about 12km from Quebec city. During the cold winter, this waterfall is often frozen to create a magnificent scene. This is also an ideal destination for mountain climbers. 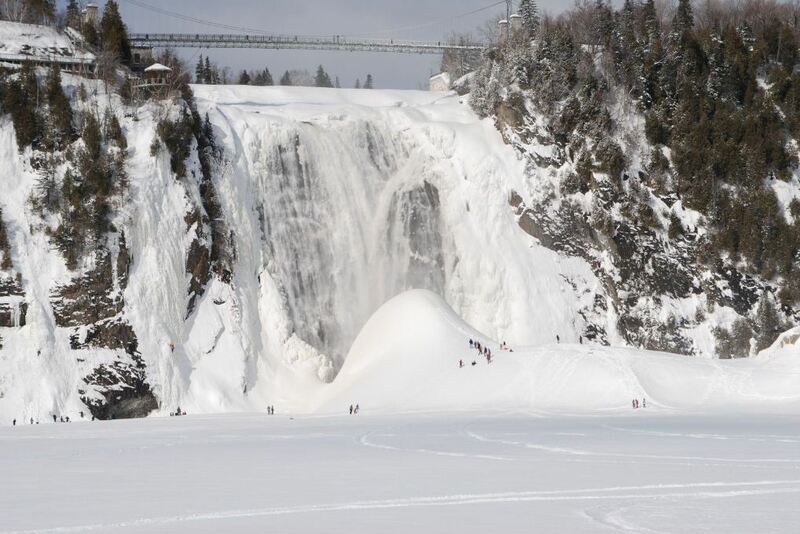 Montmorency is about 83m high and flows into the Saint Lawrence River. 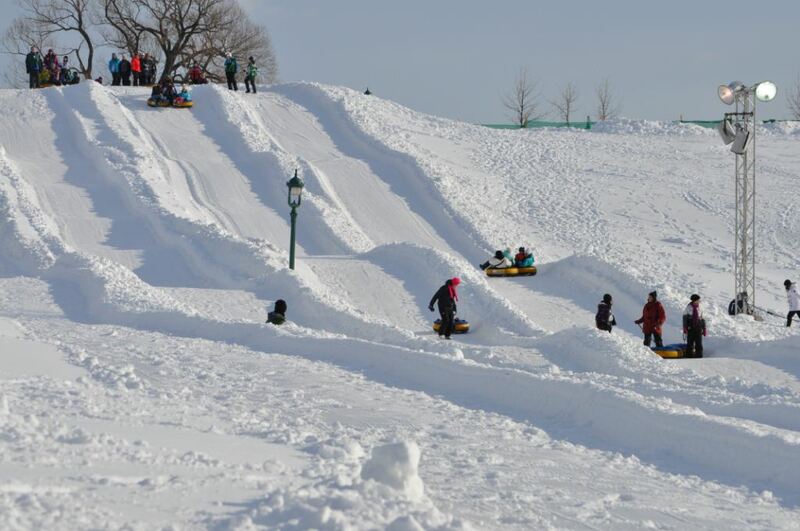 A local in Quebec, Chosis Phman, invented the first snow mobile in 1922. 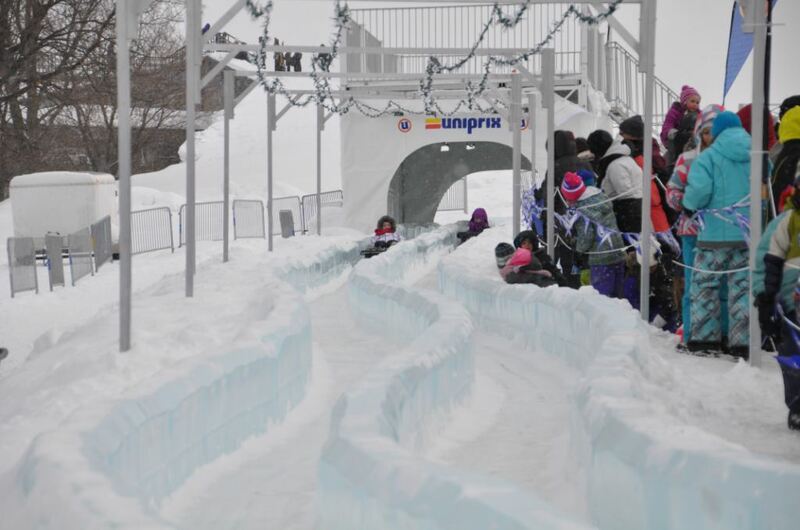 Today, snow racing has become one of the most popular winter sports in Canada. 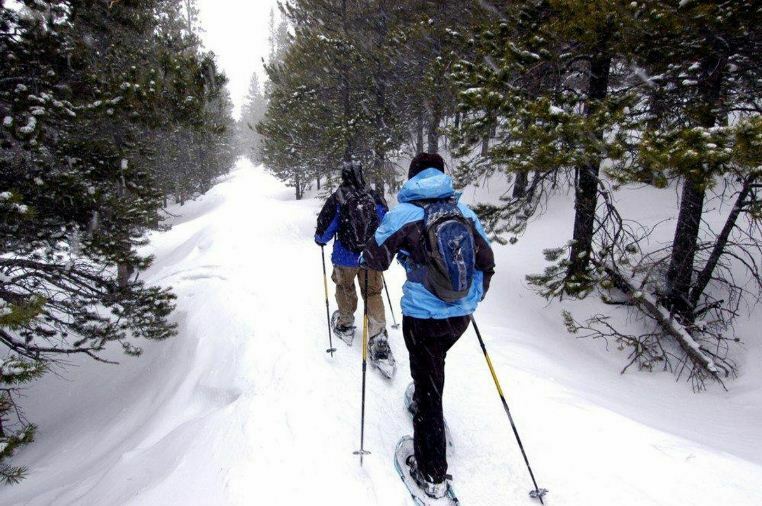 The snow trail extending 32,000km is a favorite among competitors. 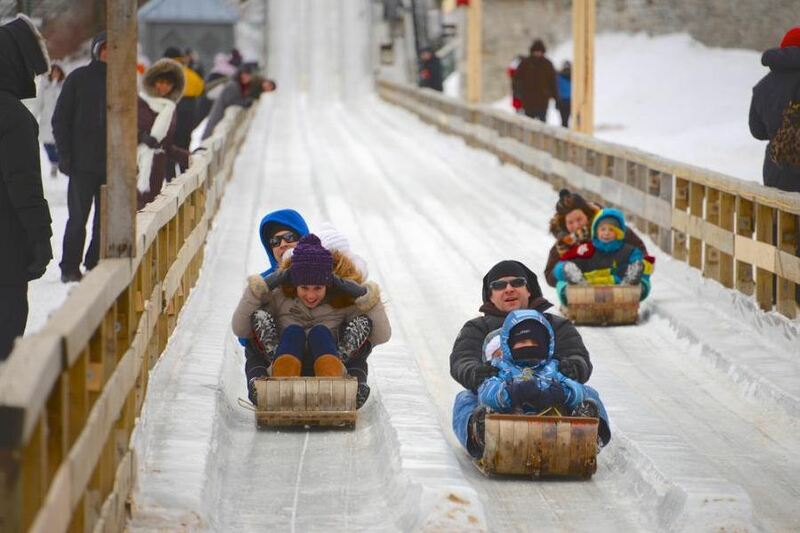 During the winter, you can get around Quebec with only a small snow car. Cars are always available for tourists to hire at the foot of Saint Anne. 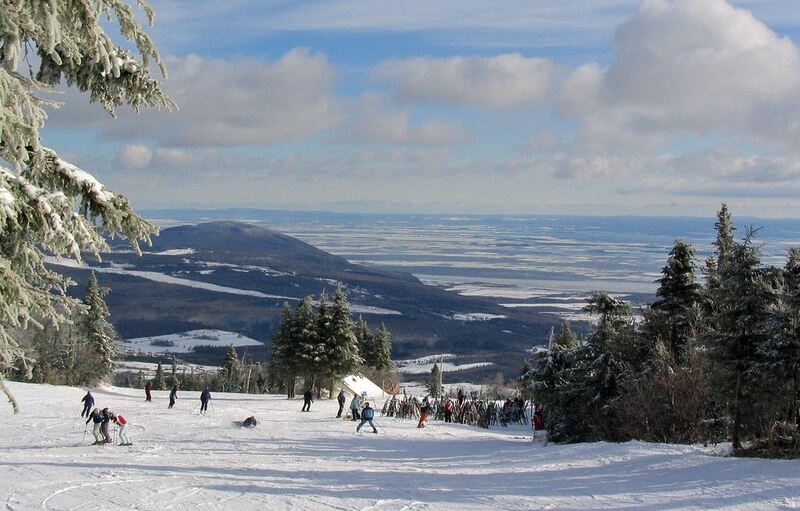 It takes about 30 minutes to travel from Quebec to Saint Anne Mountain in the East. 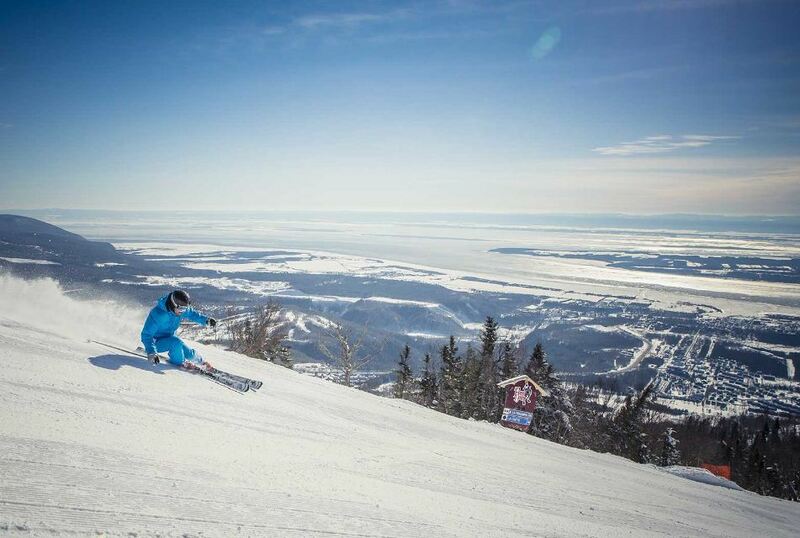 The imposing Sainte Anne Mountain directs to Quebec City and Saint Lawrence River. 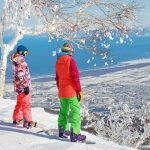 Saint Anne is a perfect place for skiing or snowboarding and accommodates for all levels, from beginner to professional. 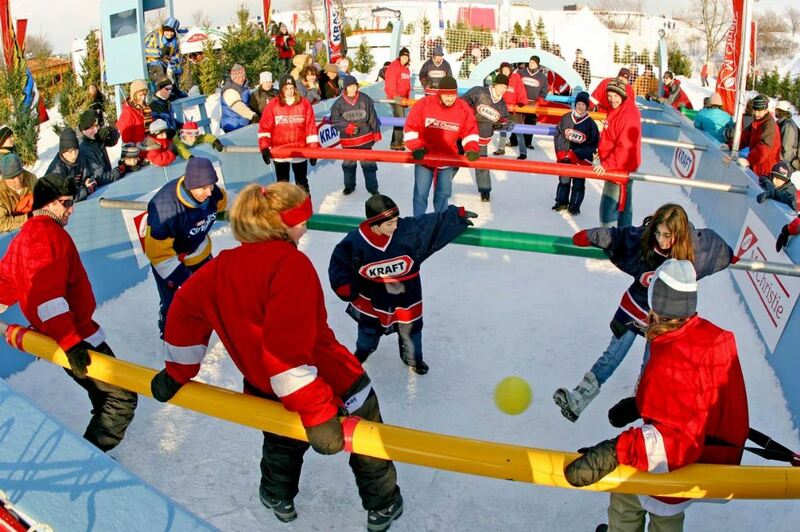 For most kids in Quebec, snow is a very important thing. They ride sleds, snowboard or ski. For them, this is a wonderful experience. 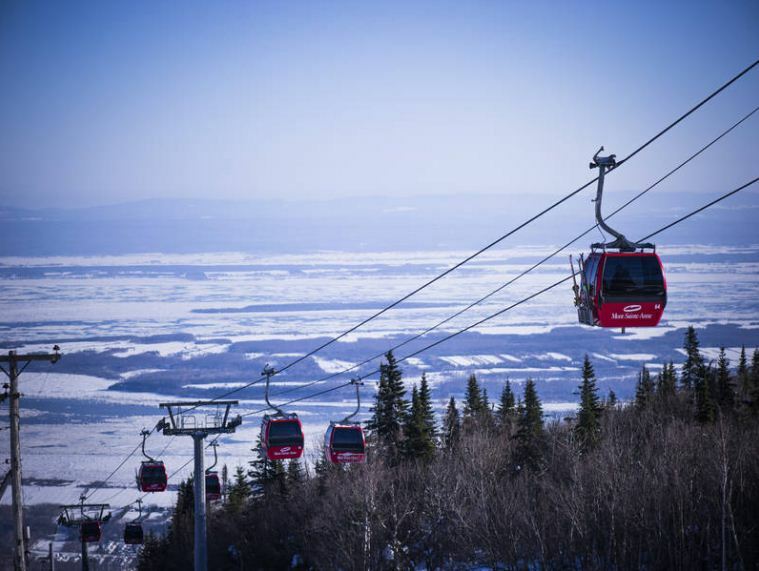 Another popular activity is to ride a cable car down to visit Petit Champlain Ancient Town. The ancient town is well-preserved, with more and more shops, restaurants and arts and crafts. 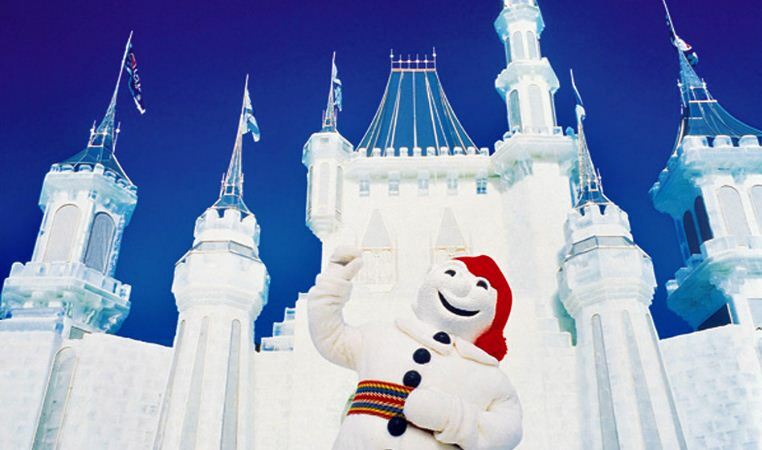 Guests of Quebec should not miss trying a special dish. 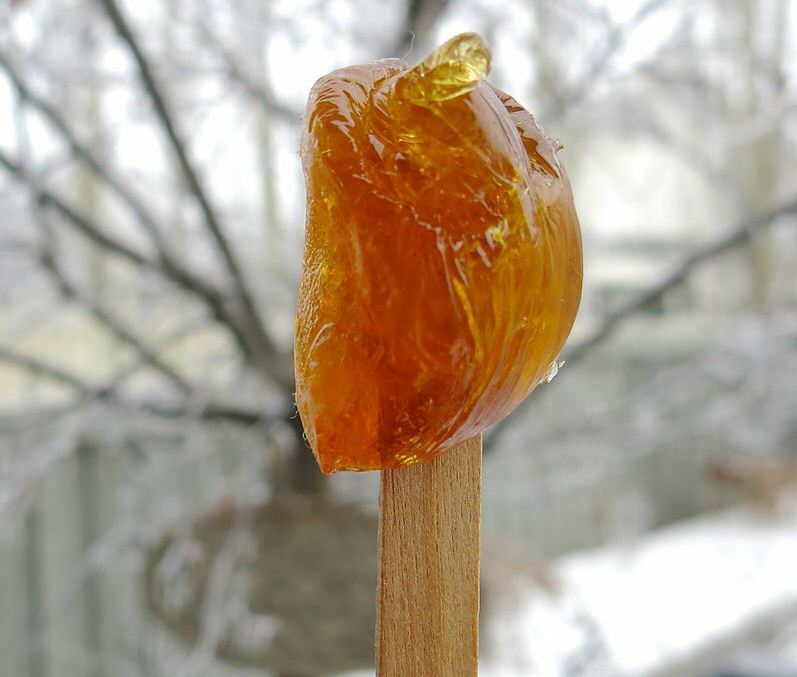 This dish made from syrup candy, or treacle, which is cooked and poured onto the ice. 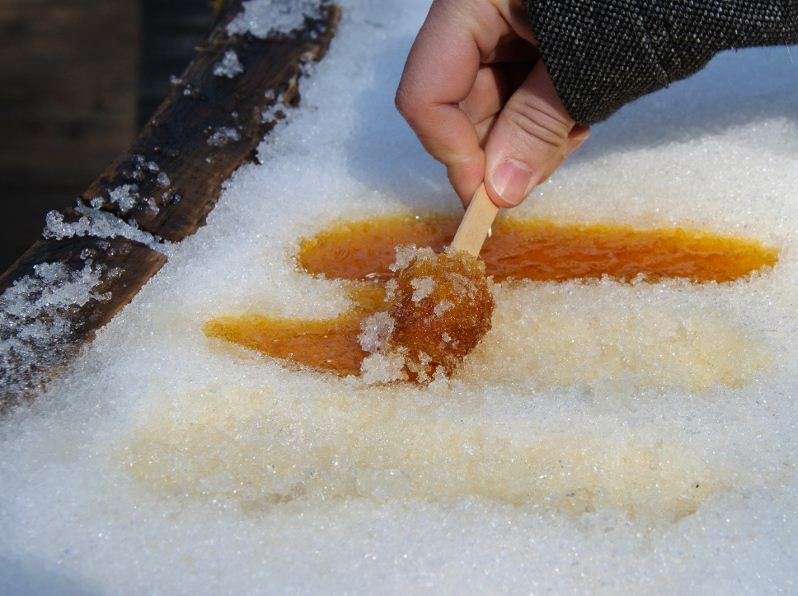 Guests can use a bamboo stick to roll the syrup and enjoy it. 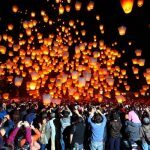 For 17 days, the festival entertains both local people and international guests. 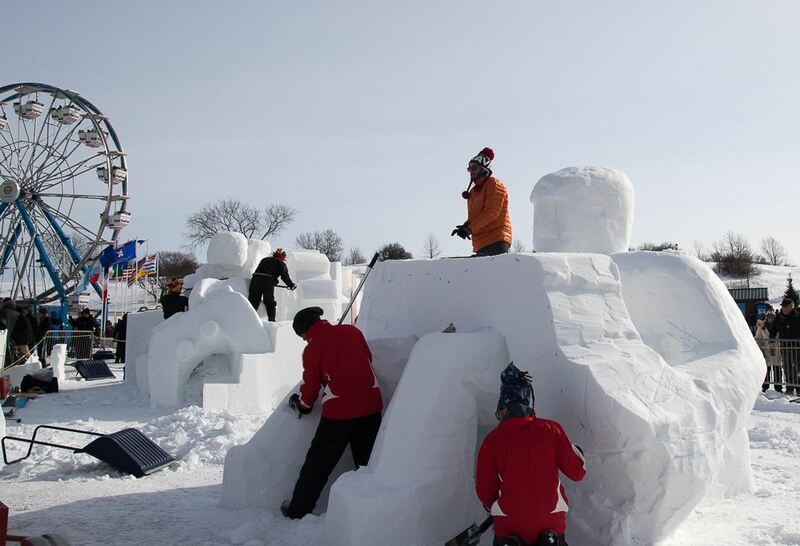 Each year, the festival features various outdoor activities and ends in what seems like a mysterious wonderland of snow. The season begins to change soon after and the Snowmen will disappear for another year. 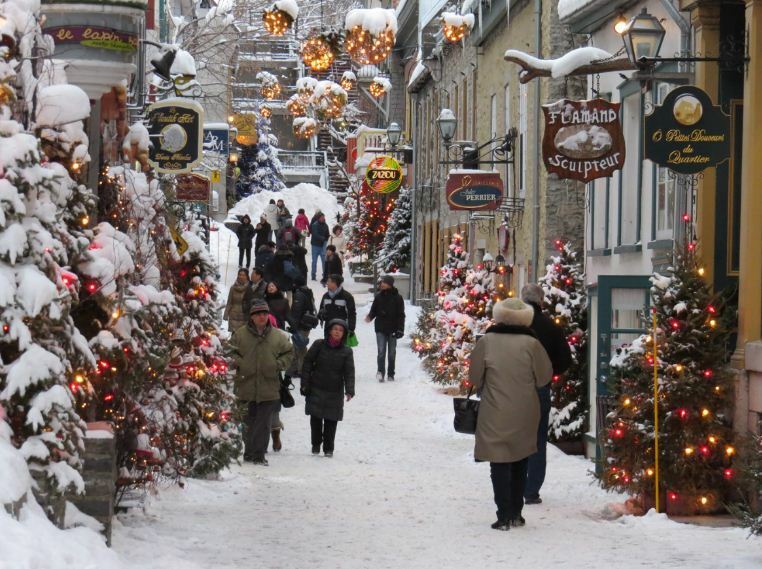 + Quebec is the largest province in East-Central Canada. 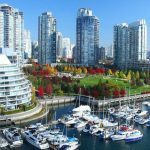 It is Canada’s second most populous province, after Ontario. French is the only official language of the region. 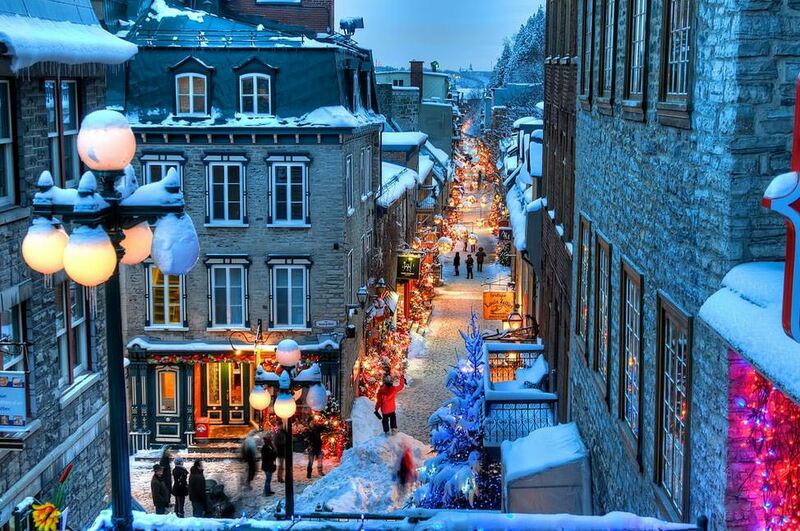 Quebec is the capital city of Quebec Province. 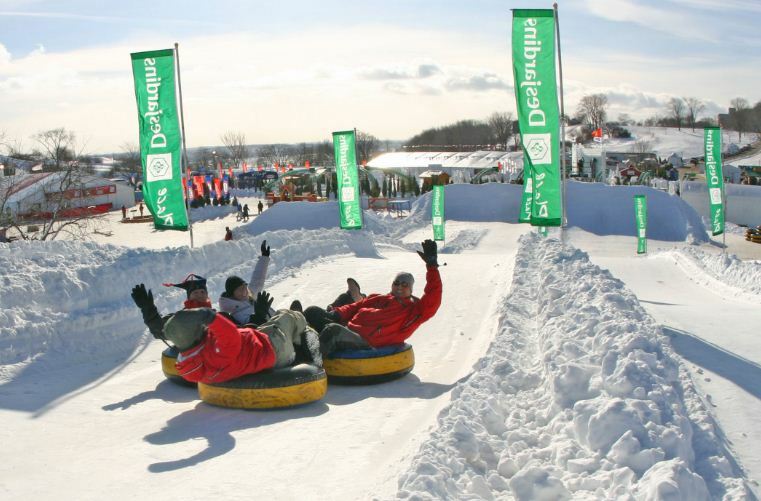 + Quebec Winter Carnival is held annually, from the end of January, to the beginning of February, as this is usually Quebec’s coldest period. 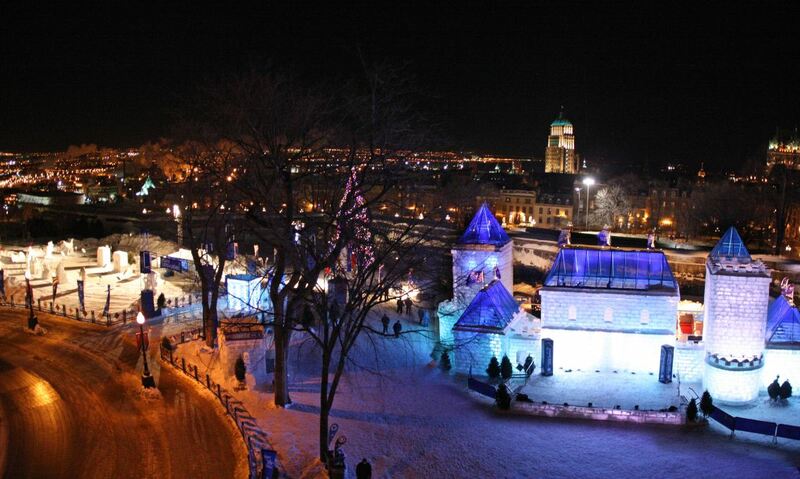 This year, the festival will take place from January 31st until February 16th, 2014. 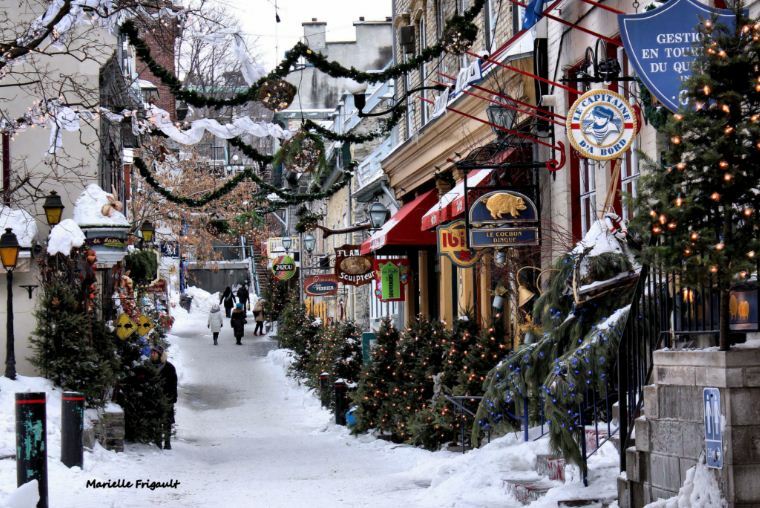 + Quebec can satisfy any accommodation needs, while being suitable for your pocket. 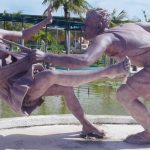 If you travel in groups, you can hire an area for camping to enjoy a memorable vacation. Price: from 50USD. 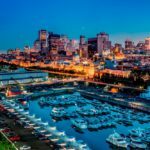 + Transportation: From Hanoi, you can book a flight with Korean Air to Quebec. After departing Hanoi, you can travel to Quebec via Seoul, Korea and Toronto, Canada. + Currency: Canadian Dollar (CAD). 1 CAD = 22.094 VND.